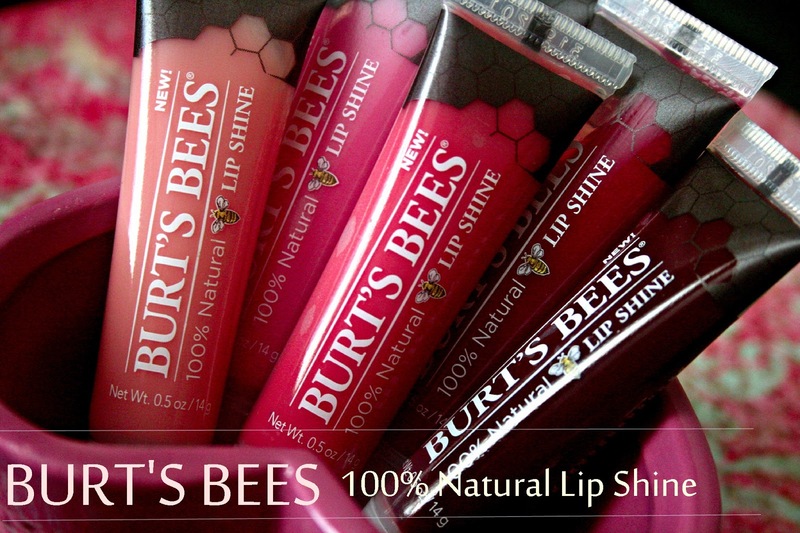 The new Burt's Bees 100 % Natural Lip Shines ($7) come in 6 sheer, glossy shades loaded with nourishing ingredients like Shea & Cocoa butters, Apricot Kernel Wax Blend and Beeswax. They are a re-formulated version of the now discontinued lip shines. They are exactly what Burt's Bees calls them - sheer, shiny and very glossy. There's not much color payoff, even the darkest shade is a tad sheer on me and looks more like an almost clear gloss with the slightest hint of color. The texture is quite thick, but not sticky, so you'll need just a dab. 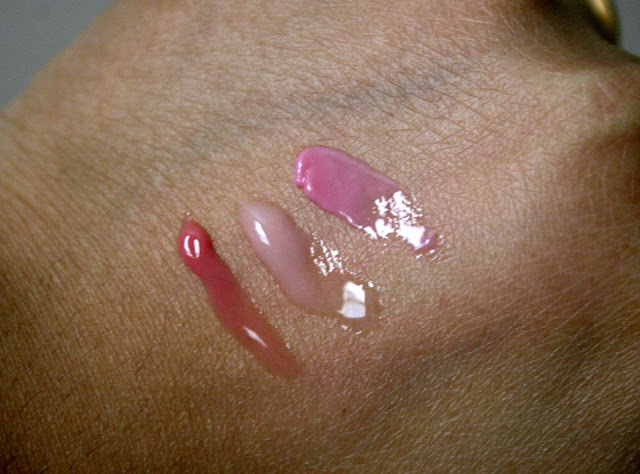 I love to use these on top of drying lipsticks and stains as they do a fantastic job of keeping lips moist and glossy. There's no minty tingle here and all of them smell and taste like fruit spread. The squeeze tube is convenient to throw into your purse and the smooth application is fab for touch ups on the go! The ingredients list is very impressive and the range is perfect for anyone who loves a very natural looking gloss to use alone or to pair with other lip colors to sheer them out. 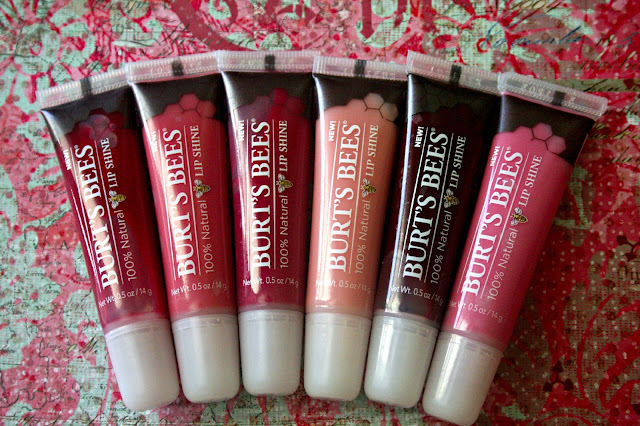 They're a perfect winter pick too as the formula tends to keep my lips soft and moisturized for a good 5-6 hours. What do you think of the Burt's Bees 100% Natural Lip Shines? I need to pick up Pooch! Been really curious about these.